A recent New York Times article concerns possible changes to the enforcement of reverse mortgages against surviving spouses. To those unfamiliar with reverse mortgages, they are a type of mortgage loan which allows elderly borrowers (usually over 62 years old) with sufficient equity in their primary residences to borrow against that equity. Generally, the sums borrowed do not have to be repaid until after the death of the borrower. Therefore, the heirs of the borrower, after their death, have the option of repaying the sums due, or selling the property and then paying off the amount of the reverse mortgage, plus any interest accrued. Other blog posts have discussed the possible pitfalls of reverse mortgages. The New York Times article concerns a specific problem with many reverse mortgages, that of a surviving spouse. The issue raised is this: what happens when the home is owned only in the name of the borrower, the borrower has a (usually) younger spouse, and then the borrower passes away, leaving an unpaid reverse mortgage? 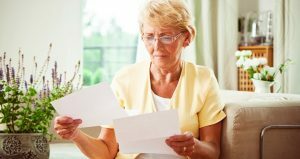 Is the surviving spouse forced to sell the property in order to pay off the reverse mortgage, even though they may have lived there for many years with their spouse? This situation arises in only a small amount of reverse mortgages. Most couples own property jointly, and may take out a reverse mortgage in both of their names. In this situation, where both borrowers qualify by meeting the age requirement, the mortgage is not due until the last of the borrowers passes away. Therefore, the “surviving spouse” situation does not apply where both borrowers are record owners and borrowers. However, there are situations, often involving a second marriage, where one borrower may qualify by age, and the other “half” is too young and will not qualify as a borrower. Reverse mortgage companies may require that the property be put in the qualifying buyer’s name alone in order to approve and close a reverse mortgage. This creates the situation discussed, where the older borrower then dies and the younger spouse, who may have inherited the property is faced with the reverse mortgage lender demanding payment in full while she does not have the assets to pay the mortgage without selling the property in question. The Department of Housing and Urban Development became aware of these situations several years ago. In order to protect surviving spouses from losing their homes, they promulgated regulations which allowed these individuals, under certain conditions, to refinance the debt on the reverse mortgage and convert it a traditional mortgage, assuming there was sufficient equity in the property in question. Of course, this still required the survivor to make monthly payments, which may not have been contemplated at the time that the reverse mortgage was taken out. Whether new language in the HUD regulations will change these protections is as of yet undetermined. Often, there is ambiguous language in government regulations, and Courts must interpret the intent when a case is brought. Our firm has defended many cases involving surviving relatives of persons who have taken out reverse mortgages, and looks forward to assisting our blog readers.